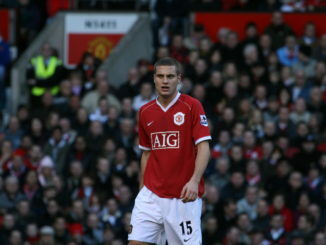 Nemanja Vidic has today given us a massive boost by claiming that he hopes to be fit for the new Premier League season begins in August. The 30-year old Serbian centre back has been out injured after damaging his cruciate ligaments against Basel in the Champions League back in December. Having Nemanja back will be like a new signing, it’s great news to hear that he will potentially be ready to go for the season opener on the weekend of August 18th/19th. Let’s hope having our captain back will sure up our defence as we attempt to win back our Premier League trophy.